Ms. Greenland received her Master of Science in Nursing (M.S.N.) from Penn State University, in State College, Pa., and a Bachelor of Science in Nursing (B.S.N) from Penn State University as well. Ms. Greenland obtained a Bachelor of Art in Political Science at Saint Leo College, in Tampa, FL. Business Name: Mathias, Norbert M.D. Dr. Mathias received his post-Doctoral training from York Hospital, in York, PA, and received his medical degree from Georgetown University. He received his undergraduate degree from Merrimack College, in North Andover, Massachusetts. Dr. Mathias is Board Certified by the American Board of Emergency Medicine. Business Name: Nwosu, Caleb D.O. 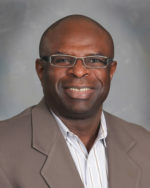 Dr. Nwosu completed his residency at the Community Hospital of Lancaster in Lancaster, Pa. He received his Doctorate of Osteopathy from Ohio University College of Osteopathic Medicine in Athens, OH. 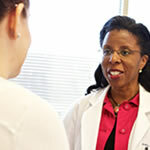 Dr. Nwosu earned his Bachelor of Science degree from Cheyney University of Pennsylvania. Ms. Leis received her Master of Science in Nursing (M.S.N.) at the University of Cincinnati, and a Bachelor of Science in Nursing (B.S.N) from the University of Phoenix. Ms. Leis obtained an Associates of Science in Nursing from Mount Aloysius College. Ms. Fegan earned her Physician Assistant Bachelors Degree in Physician Assistant Sciences at Saint Francis University in Loretto, PA. .
Certified Physician Assistant, Advanced Cardiac Life Support Provider, Basic Life Support Provider. Business Name: William Steinour, M.D. Dr. Steinour completed his family practice residency at York Hospital in York, PA. He received his M.D. at Thomas Jefferson University in Philadelphia, PA and his Bachelor of Science degree at Mount Saint Mary’s College in Emmitsburg, MD. Dr. Steinour is Board Certified by the American Board of Emergency Medicine.